Instructors & Dive masters Hassan Abdel Malek - Dive Centre Manager - PADI Master Scuba Diver Trainer. Mohamed El Hosseini - Assistamt Manager - PADI Open Water Scuba Instructor. Mohamed Madeh - PADI Open Water Scuba Instructor. Walid Abdallah - PADI Open Water Instructor. Non-diving activities At Palm beach there is still a lot you can do if you are a non diver, apart from the excellent facilities of the hotel which include a complete animation program, there is also an Aqua center attached to the dive base. 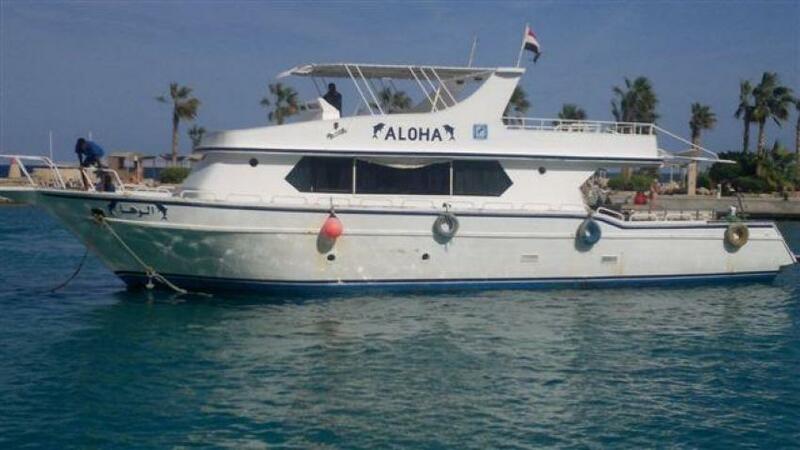 You can choose from a wide range of activities that include snorkelling tours, a glass bottom boat so any non swimmer can still see the beautiful fish and corals of the Red Sea or you may choose to stay above the surface on one of the many Pedalo's ava...Continue readingilable to rent. For the adventurer in you, why not rent a Kayak and give those upper arms a mini workout or take to the waves on a pair of waterski's and wow the onlookers with some fancy footwork.........entertainment at its best. Equipment Description A full range of branded Scuba equipment available to rent or buy and a workshop that is fully equipped to service dive center's equipment or yours on request. Read before you go All prices include transfers to and from your hotel (except for Safaga, Sahl Hasheesh and Marsa Alam). Hyperbaric Insurance of 7 € compulsary for Marsa Alam and Hamata. Valid for 3 weeks. When diving with Aquarius a Check Dive* is mandatory. If you have not dived for more than 1 year a Scuba Review is required. For all PADI courses each student must have their own PADI manual. Please add the cost of the PADI manual 40 € and the PADI certification fee 35 € to y...Continue readingour course price. An environmental fee of 2 € per day per person must be paid.